Injury, Illness and death are not often at the forefront of our minds. Unfortunately, these are also the issues that can have the greatest impact on our lives. When people are considering the importance of income protection, some people believe that they have already taken out an income protection policy with their mortgage. However, upon further discussion we discover they often have mortgage protection insurance, not income protection. With products as complex as income protection and mortgage insurance, it is inevitable that clients can have a misunderstanding as to what cover they have, what they may or may not be covered for and more importantly, who the benefit is designed to protect. How does Mortgage Protection Insurance differ from Income Protection? Mortgage Protection Insurance is designed to protect the portion of the client’s income that is used to pay for their mortgage. This contrasts with income protection where one can generally insure up to 75% of their income. Since the income is what services your mortgage repayments (as well as other living expenses), income protection can provide you with greater financial security should the worst occur. Many other differences exist aside from this, they are discussed below. What does it insure? It protects the portion of the client’s income that is used for their mortgage repayments Up to 75% of the client’s income. This allows the client to cover more than just their mortgage repayments if they are unable to work due to injury or illness. How long with the benefit be paid for? Mortgage protection insurance policies typically have a benefit period of 2-3 years. Income protection insurance offers a range of benefit periods that are available at the time of application. These range from a 2-year benefit period right up to an age 70 benefit period. Are the premiums tax deductible? No. Generally mortgage protection premiums are not tax deductible. Yes. Premiums for income protection insurance are generally tax deductible. Is there a qualifying period that needs to have passed before a claim can be made? Yes. Qualifying periods range from 14 – 90 days amongst most lenders products. This means that the client won’t be able to claim on the policy until it’s been in force for that amount of time. No. Income protection covers are not subject to a qualifying period that must pass before the waiting period can begin. Are pre-existing conditions covered? No. Mortgage protection insurance will exclude all pre-existing conditions. Yes. Provided the condition has been disclosed and no exclusion has been applied. Is the benefit period reduced if the client is overseas? Yes. Typically, the benefit period is reduced to 6 or 12 months with most lenders products. No. Income Protection offers worldwide cover. The benefit period cannot be reduced if the client is outside of Australia at the time of claim. Does the product contain ancillary benefits? No. Mortgage protection insurance generally offers no ancillary benefits. Yes. 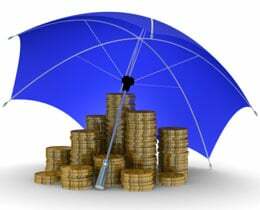 Income protection covers include a number of ancillary benefits. Your greatest expense will most likely be your mortgage repayments and your greatest need may well be to place a roof over your head. It’s common to reach a point in life where your financial responsibilities increase significantly. However, in the unfortunate event of you needing to claim on your policy, you will most likely find that the range of expenses to be far greater than simply your mortgage repayments. The flurry of additional expenses that are often incurred at such a time, render mortgage protection insurance inadequate. An income protection policy that replaces the large majority of your income would be able to provide for such a time in a far more appropriate manner. An income protection policy also increases in value the longer you hold it, where as a mortgage protection policy would do the opposite. A client is on $100,000 a year with monthly mortgage repayments of $2,500. They are involved in an accident over the weekend with a broken leg and are subsequently off work for 3 months. Under mortgage protection insurance the maximum payout for this would be $7,500. Under an income protection policy with 1st day accident cover, the client could be entitled to $18,750 for the 3 months off, a further lump sum of $12,500 for the broken leg, any rehabilitation expenses as well as a range of other ancillary benefits should the need arise. If the same income protection policy had a benefit period to age 65 and the client was not able to go back to work in any capacity, then the policy would pay out until age 65, subject to approval by the insurance company or until the client went back to work. Mortgage protection insurance provides you with basic cover that focuses on one particular expense and is often designed to protect the lender and not the borrower. It is not a substitute for a quality income protection insurance policy. Income protection insurance is about protecting more than just the mortgage repayments. Covering 75% of your income and allowing you to protect your lifestyle, if you are unable to work as a result of illness or injury.